A short film about the most famous break of all. Apologies for the lack of stuff recently. We've been keeping our heads down for a bit. Here's something to take your mind of the pain caused by the lack of jam. Excellent idea for a interface, unfolding a bit like one of those jacob's ladder things. Some nice work in there too. We salute you, Section Seven. 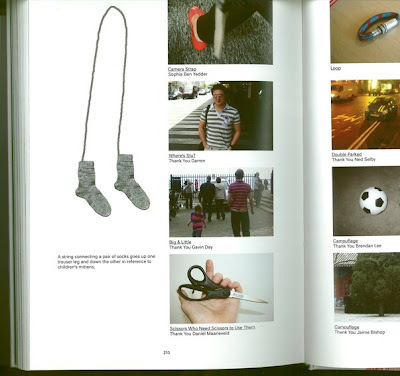 I have been notified that our work colleague Stu is actually in Daniel Eatlock's 'Imprint' portfolio book. I think he asked people to send in pictures. Stu's friend Darren noticed that his shirt matched the zebra crossing and duely took a snapshot and sent it in.